Level 2: Course 7 - Phyto-Aromatherapy & Herbals for the Gastrointestinal Tract Imbalances - JennScents, Inc.
A Level 3, Clinical Aromatherapy Course. Having battled Crohn’s, colitis, leaky gut and IBS over the last 20 years, Jennifer has much experience, wisdom and natural remedy solutions to share. Gastrointestinal issues affect millions of people, worldwide, in women and men equally. As Hippocrates said, the root of disease begins in the gut. It is grand central station when it comes to microbiota-gut-brain axis communications, immunity, nutrient absorption and optimal elimination. In this extensive workshop we will explore the physiology and function of the gastrointestinal tract, how it interacts with the rest of the body, various gastrointestinal health concerns as well as common triggers and influences. You will gain a deeper understanding of the role and interaction the microbiome plays in relation to gut health, immunity, cellular function, hormone and blood sugar regulation, and overall mind-body processes. We will discuss the importance of the gut-brain connection, cognitive, mental and emotional disharmonies, the impact on the circadian rhythm, along with clinical-based remedies, herbal and phyto-aromatic recipes and case study review. 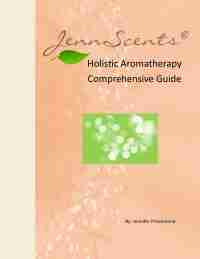 A Level 2, Professional Aromatherapy Course. Having battled Crohn’s, colitis, leaky gut and IBS over the last 20 years, Jennifer has much experience, wisdom and natural remedy solutions to share. Gastrointestinal issues affect millions of people, worldwide, in women and men equally. As Hippocrates said, the root of disease begins in the gut. It is grand central station when it comes to microbiota-gut-brain axis communications, immunity, nutrient absorption and optimal elimination. Available as part of Level 2 studies, or can be purchased as a stand-alone class.